As a manufacturer of laboratory furniture and fume hoods, are your products SEFA Compliant? The newest change to the SEFA Bylaws now require all members to have at least one product that is SEFA compliant. This must be certified by a SEFA approved Independent Test Lab. But what does SEFA compliant mean? There seems to be much confusion about what compliance means. The testing report must contain photographic proof that each test was performed and performed correctly. The SEFA Headquarters will be reviewing each test submitted to insure the product is actually compliant. In a recent webinar with the test labs, SEFA indicated they had rejected about 40% of the test reports submitted as being incomplete. So what does it take to be compliant? Let’s take SEFA 8 as an example. First and foremost you must test the proper test units even if they are not a standard size or configuration for you. These units are selected because they represent the worse case condition. With all members testing the same units, it is possible to do a comparison between products. The logic is that if you are compliant on the test units, and you use the same engineering and the same materials then your products of varying smaller sizes and varying configurations will be also be compliant. 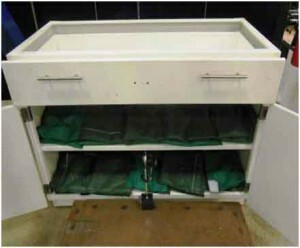 Special units that use different construction such as sink units may not be compliant. 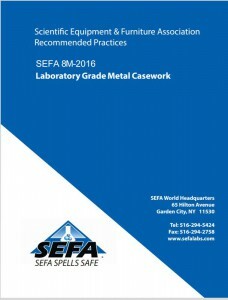 Since 1999 when SEFA 8 was first approved, I have reviewed many test reports. I have found many mistakes. The wrong unit might have been tested, all tests were not performed, or the test method was not followed correctly. If your report has any of these issues then your product is not considered to be compliant. Any test that has a non-compliant result causes the entire product to be considered non-compliant. For example if a hinge or drawer slide fails, the entire product is considered non-compliant. You can retest just that component, but until all tests are compliant, the product is not compliant. Or if your paint is non-compliant, then you can submit another sample to re-tested. But to be considered compliant, all tests have to be done on the proper test units and all tests must have compliant results. And all tests must be done by a SEFA approved test lab under controlled conditions. 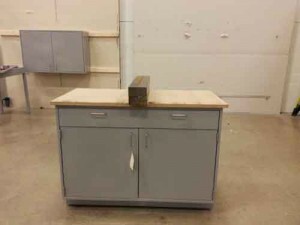 All classes of Laboratory Furniture can be tested under either SEFA 8 (Fixed Casework) or SEFA 10 (Adaptable Systems). Work Surfaces, Service Fixtures/Taps, Fume Hoods and Chemical Storage Cabinets have their own Recommended Practices. The latest versions of the Recommended Practices can be found in the current Desk Reference. As of this writing, the latest was the 5th Edition Version 2. 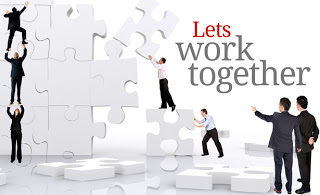 The SEFA office can assist you in determining the most current version for your product. For SEFA 8 you must start with the correct test units. The Test unit must be a nominal 48” (1219 mm) wide 22” (559 mm) deep and 35” (889 mm) tall. It must have a full width drawer and two doors with no center divider. There should be a full width shelf. The top must be medium density fiberboard (MDF) and not attached to the test unit. 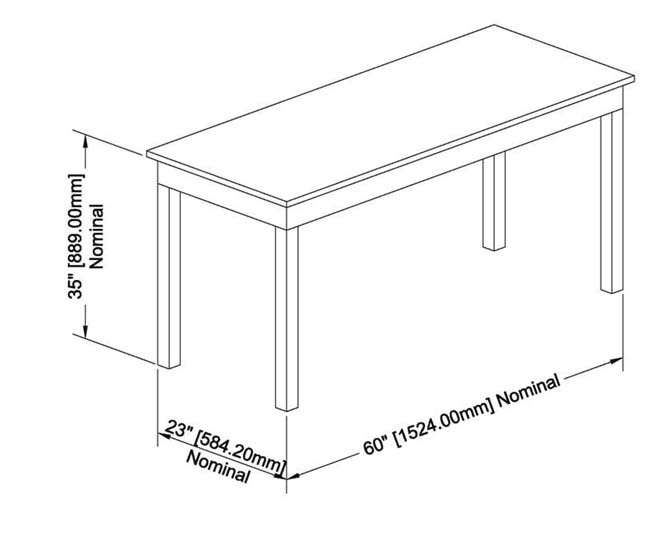 Evaluation shall be conducted on a wall mounted cabinet with nominal dimensions as follows: 48” (1,219.2mm) +/- 1” wide, 30” (762mm) +/- 1” high, and 12” (304.8mm) +/- 1” deep. 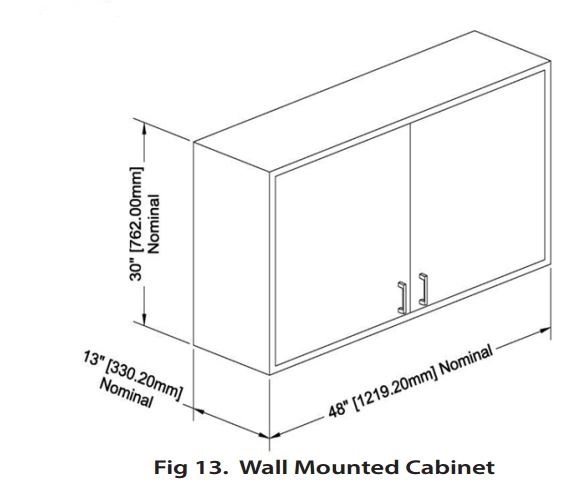 The wall cabinet shall be manufactured to manufacturers’ standard construction and practices. The wall cabinet shall have two doors and two (2) shelves. Shelves shall be evaluated per Section 7.0 (Shelving). The unit and shelves shall be mounted in a manner recommended by the manufacturer. These tests involve a large amount of weight. 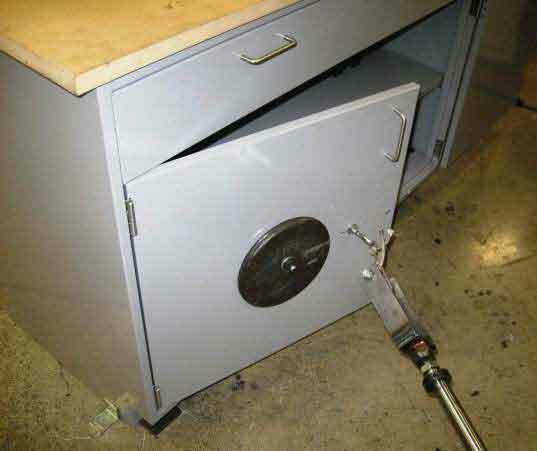 Cabinets have been known to have catastrophic failure causing the weights to fall. Care should be taken will all these tests to avoid situations where serious injury could occur. Tester safety is the first priority — so use caution. 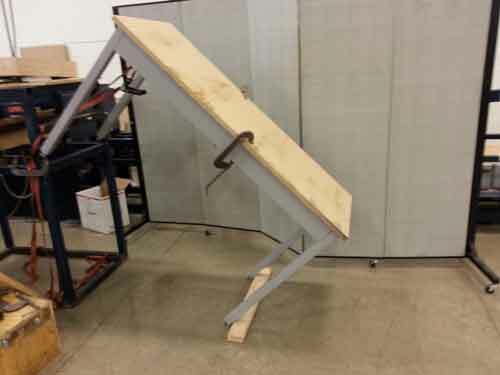 In this load test, the top must be MDF (Medium Density Fiberboard) and not attached to the test unit. The weights are stacked three high, evenly spaced with space between the stacks. Most cabinets have some deflection in the center. 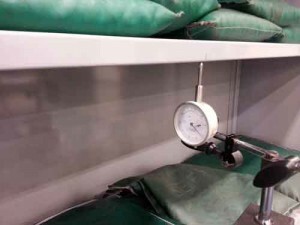 The purpose of the top material and the weight spacing is to allow the maximum deflection to occur. This test is simulating heavy equipment being placed on the unit. 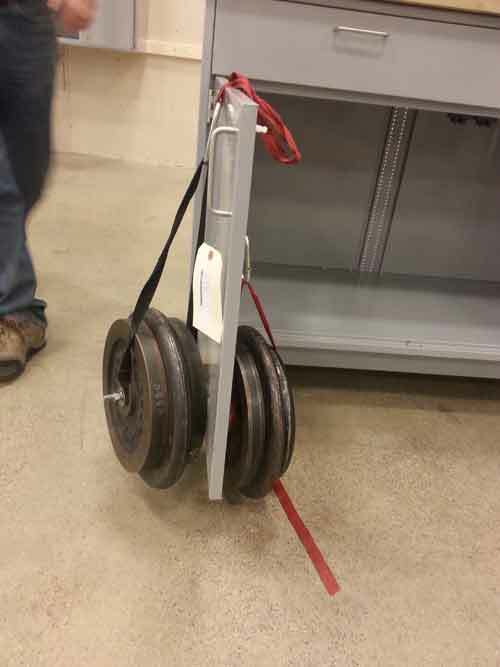 It is evaluating the ability of the unit to function properly under a heavy load. Additionally this test is stressing the leveling feet. 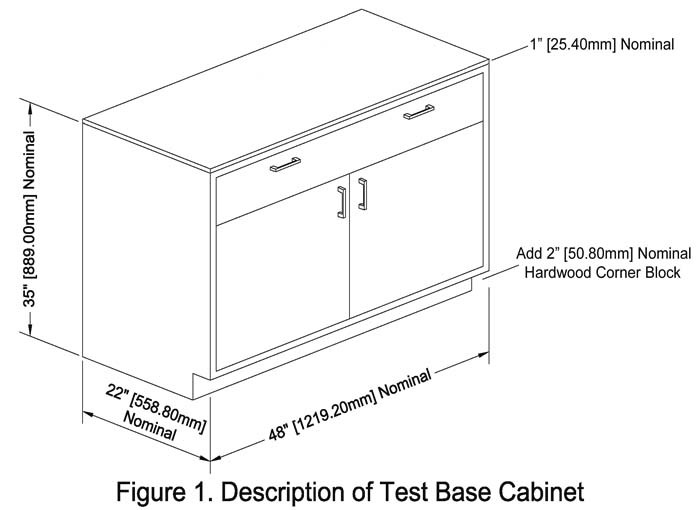 This test will evaluate the structural integrity of the cabinet construction when subjected to a torsional load. 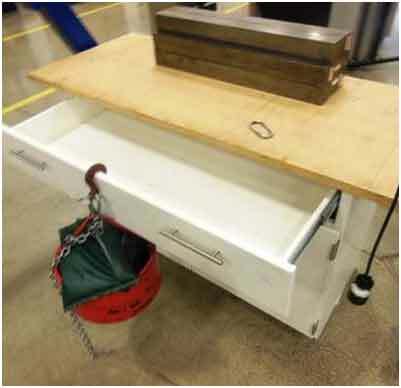 This test stresses the joinery to evaluate the rigidity of the cabinet under load. This is a challenging test. 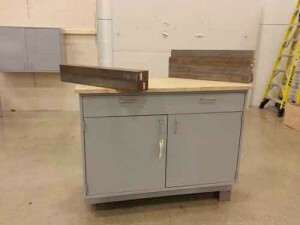 Some cabinets have been known to collapse in this test. 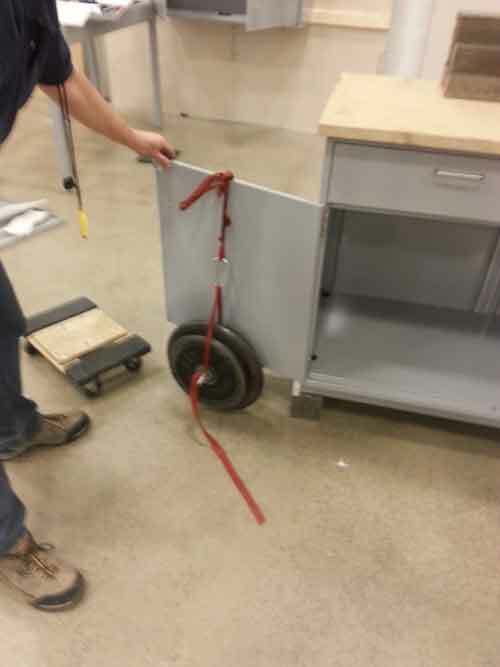 This test evaluates the ability of the door to operate under a load. The forces are similar to those exerted when a person who is getting something out of the cabinet uses the door to assist getting up. Hundreds of hinges have been tested and many fail. 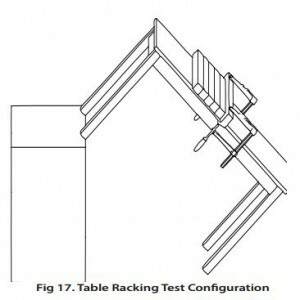 Concealed hinges usually will not pass this test. 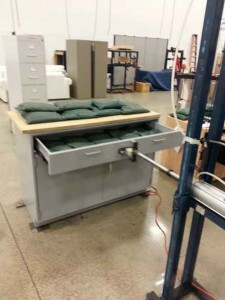 This test will demonstrate the ability to support a point load given to the front of the drawer and will challenge the drawer suspension system and the attachment of the drawer head to the drawer. 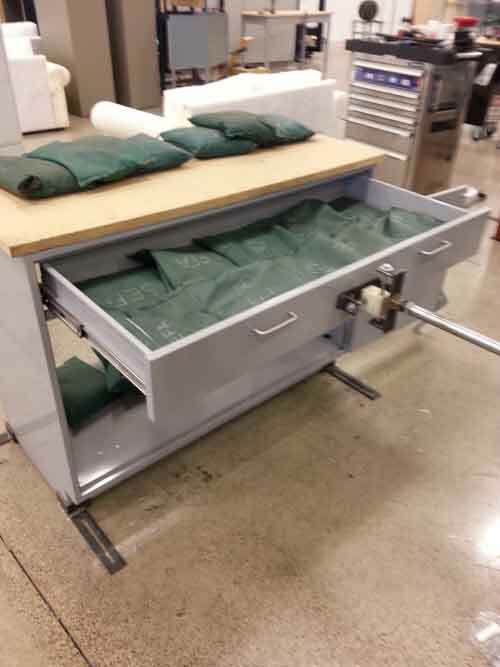 This test is intended to replicate years of operation of a drawer under full load. This is one of the most challenging of all the SEFA 8 tests. More tests end with failure than compliance. Hundreds of drawers slides and various mounting techniques have been tested. Only a few will pass. The soft close slides usually will not pass. To correctly run this test requires 70-104 hours of testing depending on the cycle rate you choose. Unless the lab equipment has automatic shutdown upon failure, this test is best run when someone is present. When failure occurs, it is very helpful to know when and how in order to correct potential issues. If you have never done SEFA 8 testing, about 90% will fail this test on the first attempt. This test will demonstrate the durability of the door hinge hardware to withstand 100,000 cycles as a reliable measure for longevity. The Door Cycle test takes 111 hours to complete. 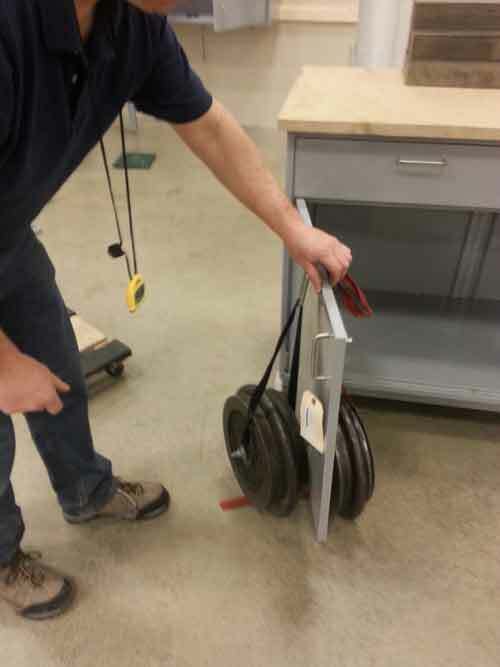 This test will demonstrate the ability of a shelf and its mounting hardware to support normal Laboratory loads. 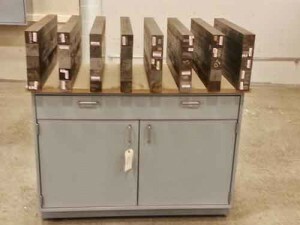 In this test the cabinet is loaded with 600 pounds (272.73 Kg) top, bottom and shelf. 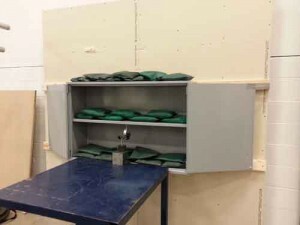 The wall mounted load test will demonstrate the strength of the back of the wall cabinet as well as the joinery of the cabinet and function of the doors when the unit is subjected to loads normally expected for laboratory furniture. This also tests the mounting to the wall. Note: This photo is from SEFA 8M-2012 and does not have the required weight added. The drawing shows the weight added as required in SEFA 8M-2016 v2.0. Version 2 corrects the test to an earlier version that requires a load to be used. Chemical resistance is a major component of Laboratory Grade products. 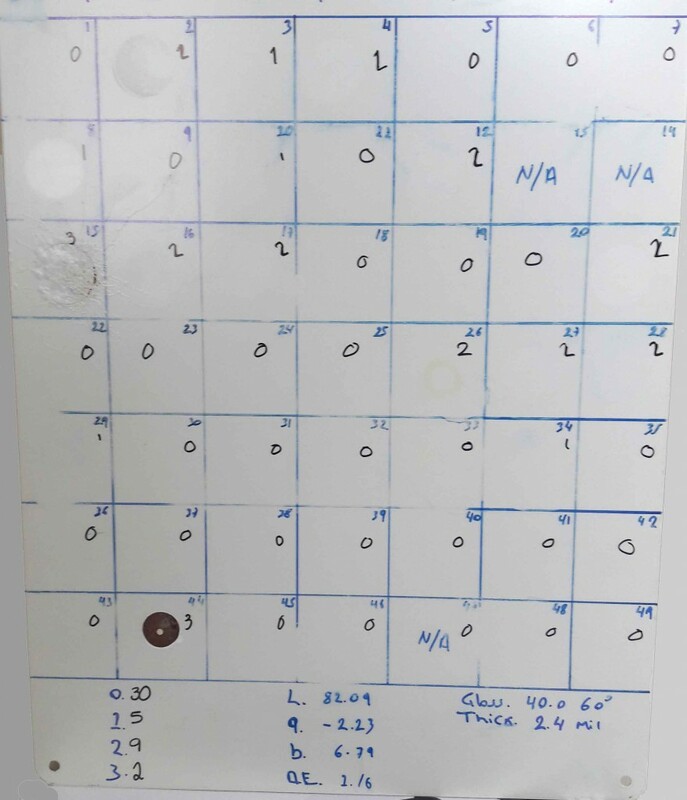 This test panel shows the test results of 49 chemicals being tested. It is not easy to pass this test. In metal powder coatings, the better finishes are also more expensive. Also not all colors of the same powder will test the same. Powder that passes has a good pretreatment, some amount of epoxy, and is 100% cured with good cross linking. 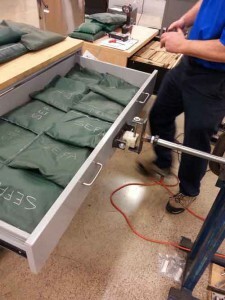 20 Total Tests Required – all tests must be performed and have compliant results for the product line to be compliant. Generally these tests cannot be performed outside a test laboratory because of the specialized equipment needed, the amount of time required to perform the tests, and the inability to maintain control when outside the laboratory. All test equipment shall have current certification of calibration. Creative Solutions and Chip Albright have been involved in designing and testing many products and materials to the SEFA Recommended Practices. If you require assistance, please contact us.